NEW DELHI (AP) — India’s government on Wednesday approved an ordinance to implement a top court ruling striking down the Muslim practice that allows men to instantly divorce. The government decision came after it failed to get approval from Parliament a year after the court ruled that the practice of allowing men to divorce by simply uttering the Arabic word for divorce — “talaq” — three times violated the constitutional rights of Muslim women. Most of the 170 million Muslims in India are Sunnis governed by the Muslim Personal Law for family matters and disputes. The laws include allowing the practice, known as “triple talaq,” whereby men can divorce by simply saying the word three times — and not necessarily consecutively, but at any time, and by any medium, including telephone, text message or social media post. The government will have another six months to get Parliament’s approval for the ordinance to become law. But in the meantime, those who violate it can be prosecuted under the ordinance. Law Minister Ravi Shankar Prasad said that nearly 22 countries, including neighboring Pakistan and Bangladesh, have banned the practice and appealed to the opposition to approve the Muslim Women Protection of Rights on Marriage Bill. 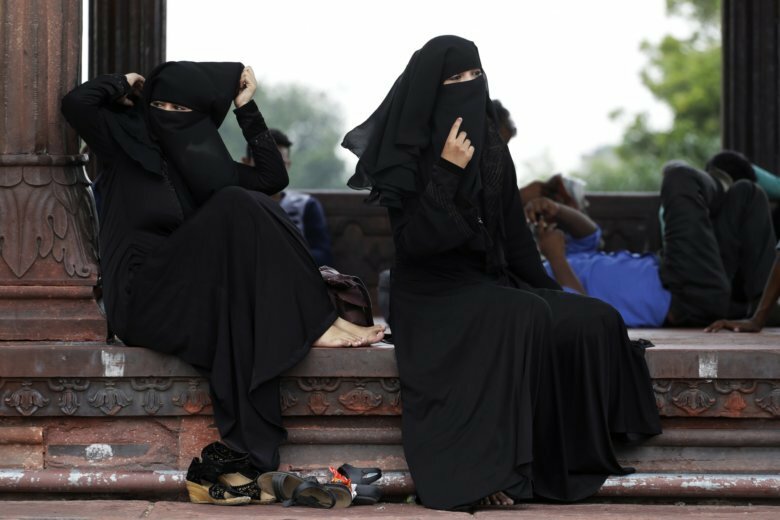 “The issue of triple talaq has continued unabated,” Prasad told a news conference, adding that the government had recorded 201 such divorces since the Supreme Court struck down the law last year. After the Supreme Court verdict, Prime Minister Narendra Modi’s government introduced a bill criminalizing the practice and it was approved in December by the lower house of Parliament, where his party commands a majority. But it couldn’t get the approval of the upper house, where the opposition controls a majority of seats. The main opposition Congress party is opposing a three-year prison sentence for offenders and wants a parliamentary committee to discuss the issue to reach a consensus. It favors a lesser sentence. On Wednesday, Congress party spokesman Randeep Surjewala said the government should provide a provision for Muslim women to receive some of their husband’s property following divorce. Muslims make up just 13 percent of India’s population of 1.3 billion, which is 81 percent Hindu, the latest census data shows. The government’s move Wednesday comes months ahead of general elections next year. Modi’s Hindu nationalist Bharatiya Janata Party has been criticized for polarizing Indian voters along religious lines. Mob attacks of Muslims by Hindus have been on the rise in India since the Bharatiya Janata Party took power in 2014. Associated Press writer Emily Schmall in New Delhi contributed to this report.